Gathering My Roses: Back to School with Campus Book Rentals! Back to School with Campus Book Rentals! Several years ago, when our youngest daughter was first enrolled at GSU, we rented several books from Campus Book Rentals. We found one of her Accounting books and two History books. We saved a lot of money that we used for other necessities. I have recently discovered that it isn't just the college student that has to buy school books. Oh no. Some schools require the students to purchase a portion, if not all, of the books needed for class. That's where Campus Book Rentals comes in. Campus Book Rentals will rent books to you at a low price for as long as you need it! When you're finished, just return it No shipping charges. It's that easy! 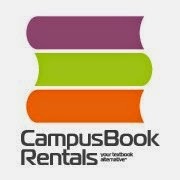 Campus Book Rentals has a very flexible rental plan and rents for 40 to 90% of the cost of buying the book! It's a great deal for parents and students. It also takes away the stress involved with the change of classes each semester. One of my friends showed me her daughter's reading list. Long and impressive, it was. One of the books she needs is Harold Nicolson's The Congress of Vienna. Brand new this book retails for well over $50. I found it at Campus Book Rentals for less than $40. Campus Book Rentals is working in co-operation with Operation Smile, an awesome organization that performs life changing cleft palette surgeries on children whose families could not otherwise afford it. The long-term improvement in qualify of life for the children that receive these surgeries is almost incomprehensible. 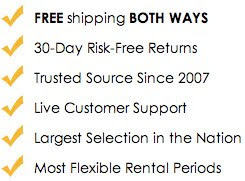 I've had great experiences with Campus Book Rentals and I know that you will, too. Facebook, Google+, and @textbookrentals on Twitter.